Vinegar has been used over the years for various household and cooking purposes. 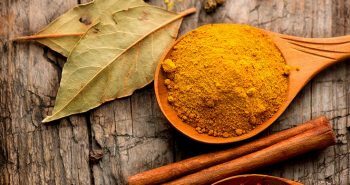 According to ancient folk remedy, it cures many health problems. Apple cider vinegar (ACV) has varied benefits including weight loss, lower blood sugar levels and improved symptoms of diabetes. Apples are the main ingredient in apple cider vinegar. Raw apple cider vinegar was used by the father of modern medicine, Hippocrates, as a healing elixir. And the best part is that its cheap to purchase. 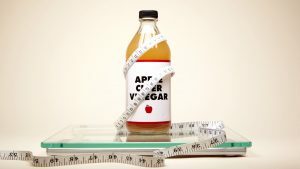 Two teaspoons of ACV can be consumed daily mixed in a cup of water or juice. In this article, we give you reasons why you should have apple cider vinegar as a regular member of your household. Apple cider vinegar is all-natural and edible, known to kill more germs than bleach, which kills 99% of all germs. Since bleach cannot be consumed, we recommend ACV which can be rubbed on the skin and consumed daily. Deodorants are usually filled with chemicals and block your pores throughout the day. Apple cider vinegar acts a natural deodorant and does not leave you smelling like vinegar after it dries. 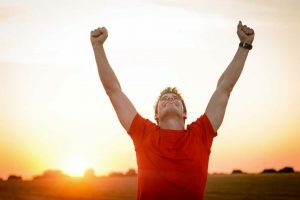 Apply a small amount of ACV under your arms and experience a fresher feeling through your day. You could also soak your feet in a warm water solution with some vinegar in it, to have odour free feet. Skin conditions and blemishes are noticeably reduced after the application of apple cider vinegar on them. It helps to balance the pH level of your skin and prevents breakouts. 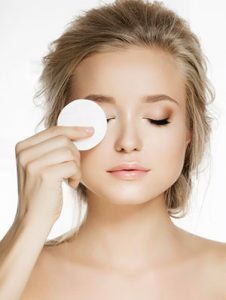 Dilute some vinegar in water, dip a cotton ball in it and apply it all over your face before going to bed. A trip to the doctor to remove a wart can be pretty scary and might also leave a scar. However, ACV makes wart removal a simple and pain free process. All you need to do is dip a cotton ball in ACV and secure it over the wart with a band aid. Leave it overnight, repeat the process until the wart dries up and eventually disappears. On most days, the obstacles in our path are not visible until we hit them and they leave a bruise. We’ve all been there but ACV helps get rid of these bruises. It acts as an anti-inflammatory agent and helps to reduce the discolouration. Sun burns are so common during the summer when you lose track of time at the beach. 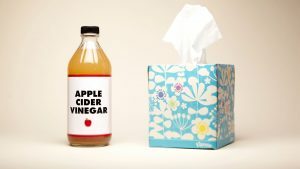 You now have apple cider vinegar to the rescue. Add a cup of ACV to warm bath water and soak in it for 10-20 minutes. After the bath, rub coconut oil on the affected areas. ACV also helps to sooth bug bites, poison ivy or a jellyfish sting. Apart from drinking water with vinegar everyday, it can also be used to soak arthritic areas of the body. A hot solution of half a cup of vinegar to three cups of water, helps to reduce the painful symptoms of arthritis. If you’re suffering from hiccups, your go to solution is apple cider vinegar. It triggers a set of nerves in your throat and mouth that are responsible for the hiccup reflex. Mix a tablespoon of ACV with some sugar to cure a chronic case of hiccups. The anti-bacterial properties of apple cider vinegar work their magic when you have a sore throat. Make sure to gargle with equal parts of vinegar and water regularly to keep a sore throat at bay. 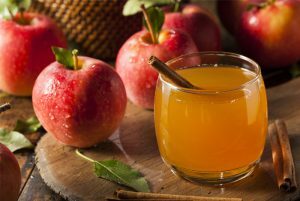 ACV strengthens the stomach acid and prevents acid reflux. The pectin present in apple cider vinegar adds fiber to our diet which increase the body’s ability to regulate bowel movements. This helps to remove the toxins from the body. The potassium in apple cider vinegar is known to break down mucus and clear sinuses. The anti-bacterial properties help to prevent a cold and sinus infection. Sipping some cold water and apple cider vinegar will help you breathe more easily and reduce the discomfort. Apple cider vinegar is the perfect weekly rinse to return your hair to a balanced pH level. If you face issues with dandruff, mix equal parts of water and ACV. Spray the solution on your scalp and wrap with a towel for about an hour. 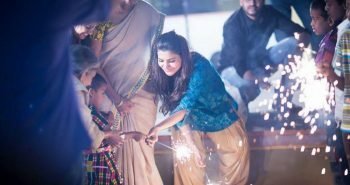 Wash your hair after and you will notice visible changes. Apple cider vinegar balances the pH levels of the body which helps to decrease fatigue and keep the body’s energy levels high. The potassium and enzymes help keep your energy levels boosted without having to drink a chemical-filled energy drink. Add some ACV to water and drink it before a workout to avoid fatigue. 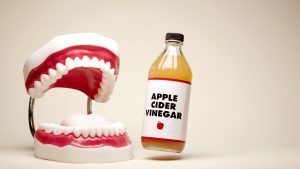 Using apple cider vinegar as a mouthwash or to gargle will eliminate the traces of bad breath. It kills the bacteria that causes bad breath and keeps the mouth feeling fresher through the day. Apple cider vinegar can make your pearly whites shine more than usual. 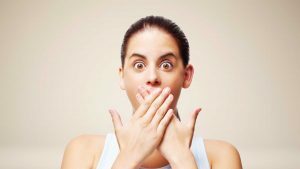 Rinse your mouth with a solution of ACV diluted with two parts water and then brush as usual. By washing your hair with apple cider vinegar a few times in a week, you can increase the body and shine of your hair. It helps to remove the product build up and returns the hair to its natural state. Mix 1/3 cup of ACV with 4 cups of water and rinse the hair after shampooing it. Then rinse with cold water. Apple cider vinegar has a pH similar to that of skin and helps to restore and balance the skin’s pH. Most skin issues such as acne and allergies are caused due to the skin becoming more alkaline. Mild soaps are often alkaline and remove the natural acid protection of the skin. Balancing the pH levels of your skin is essential for the maintenance of a healthy skin. There are enzymes present in apple cider vinegar than can regulate the presence of candida in the body. It helps encourage the growth of healthy bacteria. It is known to act against candidiasis, a fungal growth in the intestines which is present in all our bodies. Take 1-2 tablespoons of ACV to cure yeast problems. Add half a cup of ACV to warm water and massage the mixture all over your body thoroughly. Do this until your skin is dry. Repeating the process twice every week will give your skin a more youthful and glowing appearance. Apple cider vinegar promotes blood circulation and helps to detoxify the liver. It is known to attach itself to the toxins, which helps in the flushing out of toxins from the body. The high potassium content of ACV helps to break down mucus and clear the lymph nodes. In recent studies, apple cider vinegar has been shown to kill cancer cells and reduce the growth of cancer cells. It has antioxidant properties that help in neutralising free radicals which cause ageing and cancer. Many foods such as sugars, simple carbs, alcohol, etc, make you acidic. After consumption, it makes the body alkaline as opposed to acidic. It is argued that the cure to cancer is to alkalise the body. It helps to maintain the pH level of your body for a healthy alkaline state. Studies have shown that apple cider vinegar increases bile production and supports your liver. ACV can help lower LDL (low-density lipoprotein) also known as bad cholesterol and it increase the HDL or good cholesterol. ACV helps to make you feel more full and less hungry. 2 table spoons of ACV in a glass of water twice a day, mixed with a spoon of honey is supposed to help you lose weight. It also helps to accelerate the oxidation process required to flush the fats out of our system. The vinegar breaks down the fats that we consume so that they are used by our body instead of being stored. Various studies correlate the effects of apple cider vinegar and lower blood sugar levels. The anti-glycemic effect of acid in ACV helps with the insulin sensitivity. The basic treatments of diabetes are medications, exercise and a controlled diet. There is also ACV which is commonly found in all households. 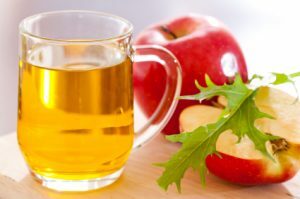 Studies show that consumption of two tablespoons of apple cider vinegar before going to bed can reduce blood sugar levels by about 4 to 6 percent by the next morning. Vinegar is known to reduce blood pressure which is a major risk factor for blood disease. ACV also contains the antioxidant chlorogenic acid, which protects LDL cholesterol particles from becoming oxidised, a crucial step in the heart disease process.